Wargaming has announced that a major update for its flagship title World of Tanks will arrive in March 2018, overhauling the game’s underlying technological base with a new advanced CORE graphics engine. Called Update 1.0, the patch will see over 25 World of Tanks maps are receive full redesigns to meet modern graphical standards. 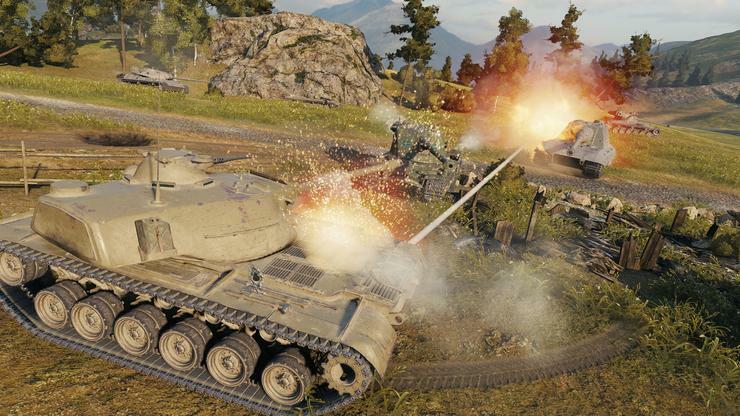 “Update 1.0 is a true game-changer,” said Milos Jerabek, World of Tanks Development Director. The new maps will also tout distinguished flair and provide deeper immersion thanks to dynamic music, authentic soundtracks, and atmospheric ambience. The provide the latter, Wargaming teamed up with over 40 musicians from all around the world to create a unique atmospheric, authentic sound for each battlefield. Update 1.0 won't arrive for World of Tanks players until March 2018. However, in the meantime, players will have the chance to test-drive some of the new visuals and music via the World of Tanks EnCore 2018 preview application. The major overhaul for the game comes just months after Wargaming launches local servers for players based in Australia and New Zealand.